I think I understand 'just sit' and 'See reality as it is' slightly better. For every distraction I face in meditation, the solution to that is : Just sit. In other words: see the distraction for what it is. It is right in front of me. If I am breathing, I should understand that I am breathing. If I am sitting, I should understand that I am sitting. That is all. To sit, I have to just sit. I will sit by sitting down. Then I should just sit. To run, I just have to run. I will run by running. To do, just do it. This post is about my second Vipassana course experience. It contains no words of wisdom, of which I have none. It contains no insights, because I can't differentiate between an insight and a distraction. 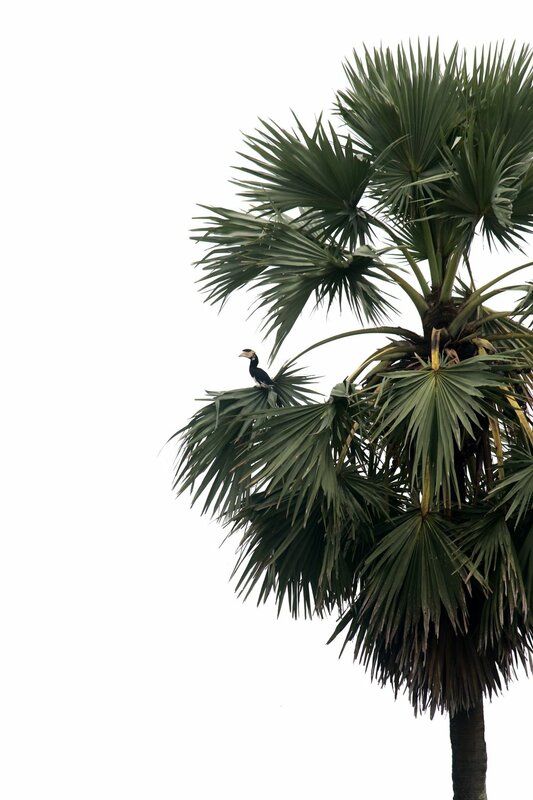 For a wonderful introduction to Vipassana, read this lovely post by Steve here. one day before heading out to Dhamma Khetta, the Vipassana center in Hyderabad, I rode my bicycle for 75 kms, without having ridden bike for that long distance in 2 years or so. That means, I started the Vipassana with quite a bit of physical fatigue and pain, especially on legs, bum and shoulders. Yes, I am an idiot. Here are few battles that took place between mind, body, and rest of the world during those 100 hours of meditation in 10 days, in the order of decreasing difficulty. On 5th day, during one of the 'strong determination' sitting, where we are asked not to move legs, hands and keep eyes closed for entire one hour sit, the pain at the right sit bone started hitting high notes early on. I initially ignored, then tried to deal it with equanimity. But, pain kept on getting intense minutes after minutes. I knew soon body would just involuntarily give up and change the sitting posture. [I learnt this while running long distances in the past]. So I had to really decide immediately if I am going to hold on to my wow to not move or not. Then I told myself in my best impression of Red [from Shawshank Redemption] "At that defining moment, Harsha decided he won't move no matter what." I located the center point of the pain and stayed there. Soon pain hit levels where body started to give up, with strong urge to move my posture. Mind wouldn't have any of it. I had lost equanimity, body tensed up from neck to heel in order to contain the urge to move. When pain hit the intense level, my whole body started shaking, involuntarily. Pain came in waves, and for every new high, body would shake uncontrollably. At those moments I might have looked like possessed by a demon. These shakings perhaps changed my posture just enough, that after a while pain remained unbearable, but did not increase. There were moments where rest of the world didn't exist, rest of the body didn't exist, just the center point of pain and my awareness. I was distraction free. I had very high level of concentration out of the fear that body would just force out itself. Those moments were glorious. I managed to remain still for rest of the hour. I managed to keep my 'strong determination' for rest of such sits, although never had such intense pain again. Mind - 1, Pain - 0. There was a big clock in the meditation cell hall, which made loud 'tick' sound for every second. I have strong aversion to sounds with rhythms while meditating, because my breath would automatically sync up to the rhythm and I'll lose my subtle, calm breathing. But, I like meditating in these small 3X6 feet cell because it is fairly quieter than the meditation hall. Like any other distractions, for first few days, I tried ignoring the tick tick tick sounds, later tried reasoning with in myself, but no avail. My breathing just would end up in 2 seconds of inhales, 2 seconds of exhale. I had to do something! So, in once such sit in the meditation cell, I intentionally picked up a half developed day dream and actively started building it, with all my attention. After few minutes of building the story, I noticed that I wasn't hearing the tick tick tick sound at all, and my breathing was fairly subtle with out syncing up to the clock. That means, my attention to breathing during meditation was way weaker than my attention to building a interesting day dream. Bummer. Then onwards, I gave up meditating in cells, and completely moved to meditation hall. All the noises of the fellow meditators yawning, coughing, and farting was tolerable than that clock. I've had internal chatter, monologues, and narration during meditation ever since I've tried. It just won't go away. But, during first 3 days, though I had distractions of pain, and other usual suspects, there were long durations in the meditation where these internal chatter kept quiet. I thought I achieved some sort of milestone! But, they came back in full force 4th day onwards. These internal commentary during the course has led to creating one full story for a feature length movie, two more small stories, many poems. Meh. 'It's all vibrations, man' would pop up in mind every now and then, bring out a smile on my face! 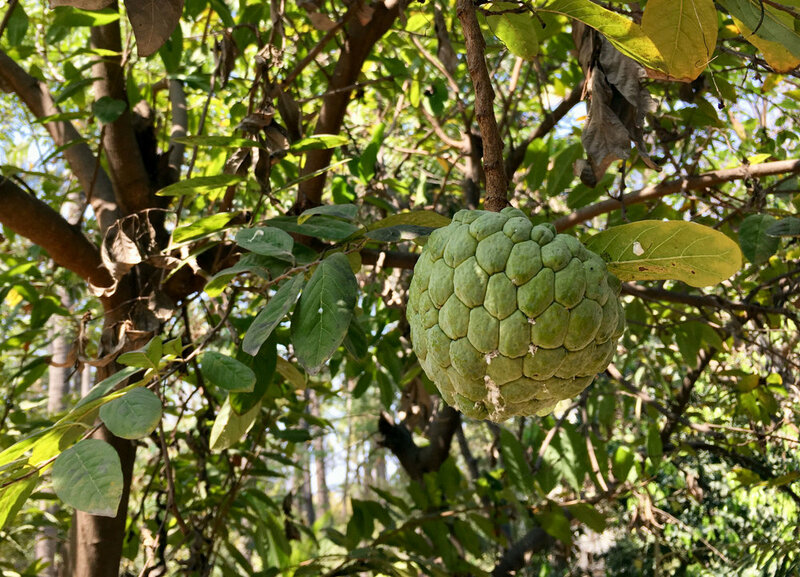 The vipassana center has many trees with small fruits, which attracts many birds. I identified at least 10-12 various birds. 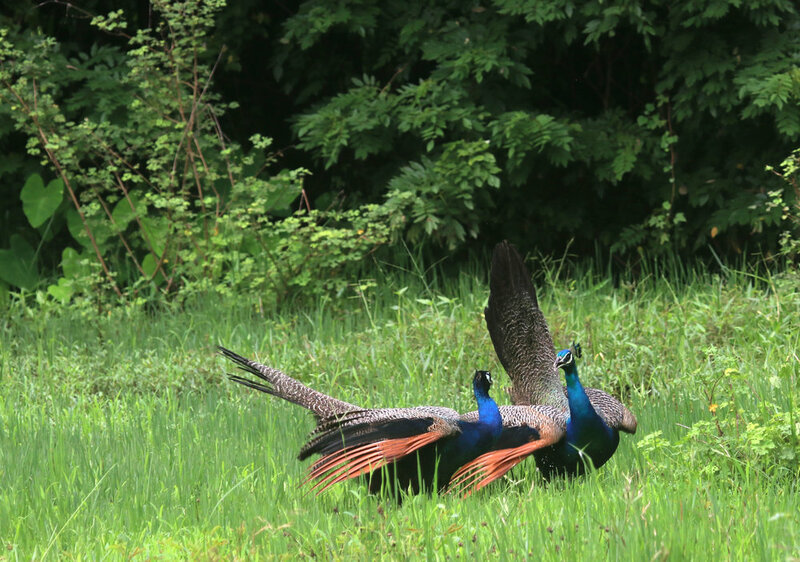 During meditation, I would hear a bird call and invariably try to name the bird species, which would trigger many pleasant memories from my 'Wild Gundmi' project, and I would get lost for many minutes. This happened through out the course. On the 11th day, a fellow student mentioned that she had same problem with many small planes that were flying overhead everyday. She would end up guessing the model of planes and thus get lost in the game! There were many more smaller interesting events which made the time at the center quite a learning experience. I am glad that I went for 2nd course, glad that I had these intense pains, glad that I made it through. A friend quoted Neitze 'What doesn't kill you, simply makes to stronger', I absolutely understand it now. I made couple of videos! This late evening, kittens were huddled around something and were very alert! It usually means trouble. It was. They caught a neat little baby snake! Later Shaleen of http://www.indiansnakes.org/ later identified this baby as Common Wolf Snake. They are non-venomous, nocturnal snakes. After chasing the kittens away, I inspected the baby snake for damages. It wasn't hurt, luckily. I couldn't identify the baby snake, it didn't look like a cobra, viper, nor a krait. 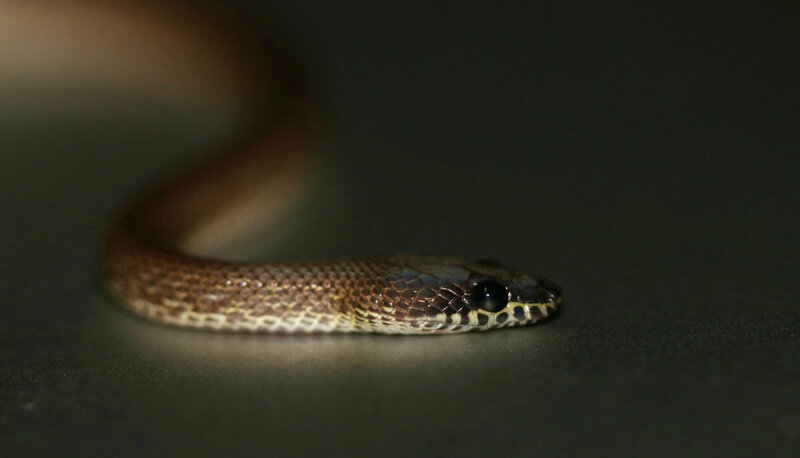 I took the baby snake inside the house where there was better light, grabbed the camera and took few pics. 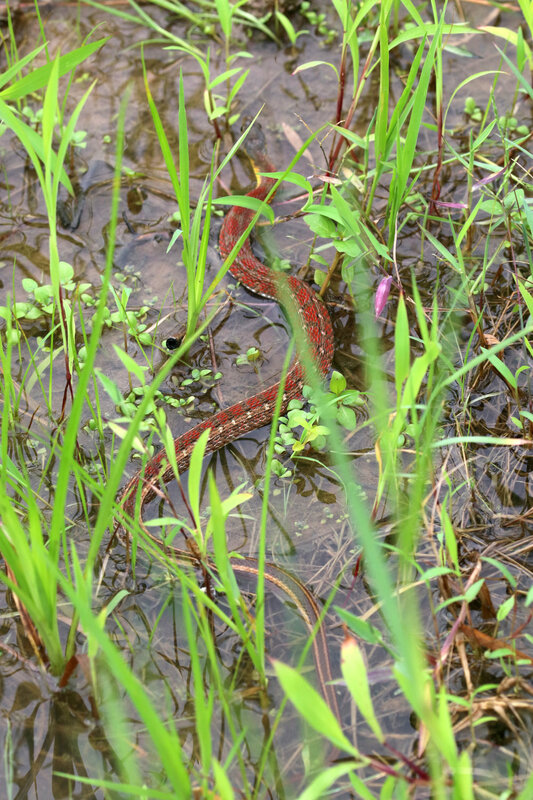 Anyway, baby snake is now swimming happily along the rain water stream near by, and kittens found some other distractions to keep themselves busy for the night. So cool to see this fairly unknown snake, that too a baby! So, Mom and I were drinking coffee this evening, which happens to be Naga Panchami festival. Mom had given the offering of flowers, camphor, coconut and bananas to bunch of Cobra statues this morning! 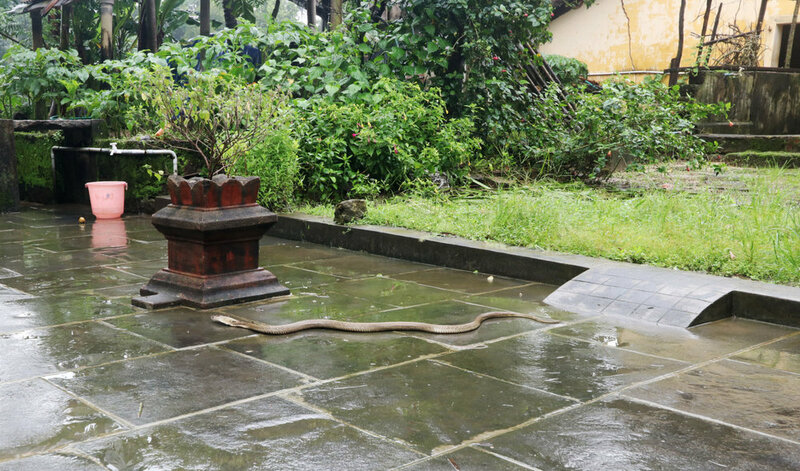 Just about then, I see this slithering shape crawling right in front of the house. With no hesitation, I called out to mom, 'Maa, nagara haavu!' and ran for the camera. I clicked a few pics with a wide angle lens, then asked mom to keep an eye on the cobra and went inside in search of better lens! The cobra though was not in any hurry and was just slowly heading, with no particular destination in mind! With my trusty 100mm lens, I ventured out, stalking the cobra. Of course, cobra warned me early on itself! Now it had already crossed the granite floor and had crawled into the garden. It had rained heavily and there were rain water puddles everywhere. I managed to get some close ups, and then I stopped clicking photos and just watched this glorious fearsome creature crawl towards the bushes near by. within few moments it disappeared! 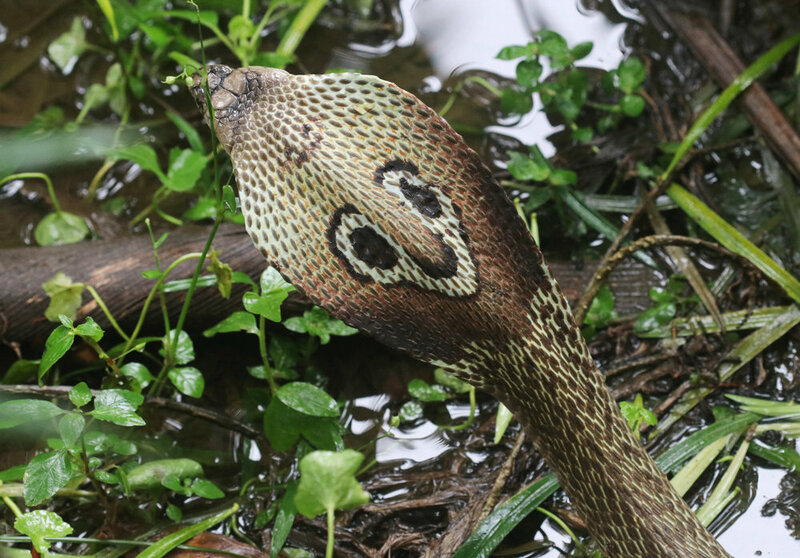 What a nice, pleasant surprise to see a beautiful cobra on the day we worship them! Our reality is a collection of our individual intents and imaginations. These individual intents and imaginations drive us to our future as well. There seems to be an inertia that holds us back from acting on these intents and imaginations . Our imaginations and intents convert to action only if they are strong. Strength of our collective imagination and intent plays a major role in the probabilistic nature of our future reality. If our current reality makes me go "wow it is nice" feel, then perhaps time to push the boundaries of my imagination and intent. If it makes me go "what a clusterf***, then time to attract other people towards my personal intent and imaginations. That is the major reason behind why we should "Push our limits" every moment. 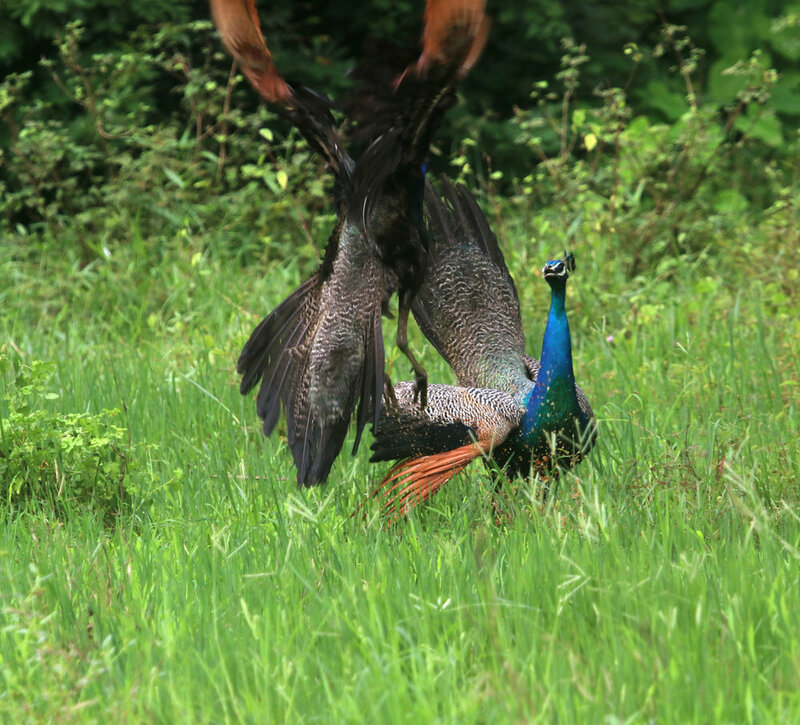 There was a territorial fight between two peacocks, until the neighbour's dog chased them away. 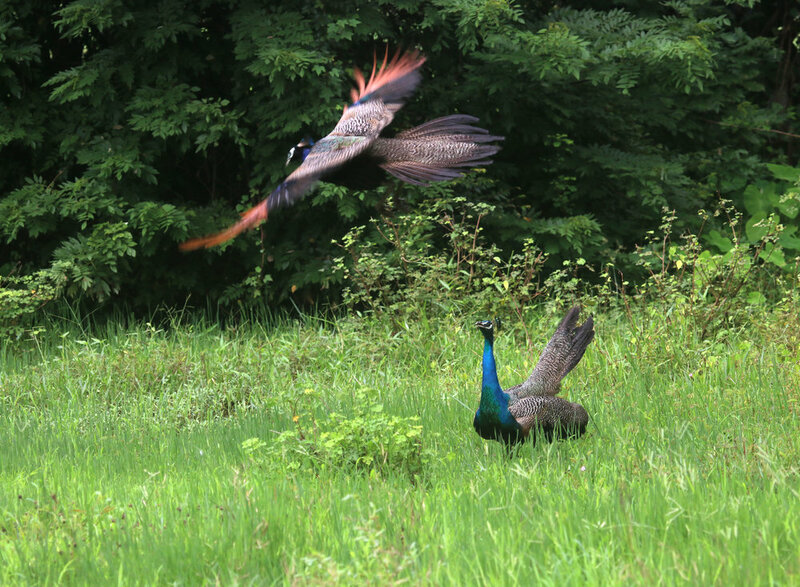 Both the peacocks were sizing each other up, circling around, staring each other. 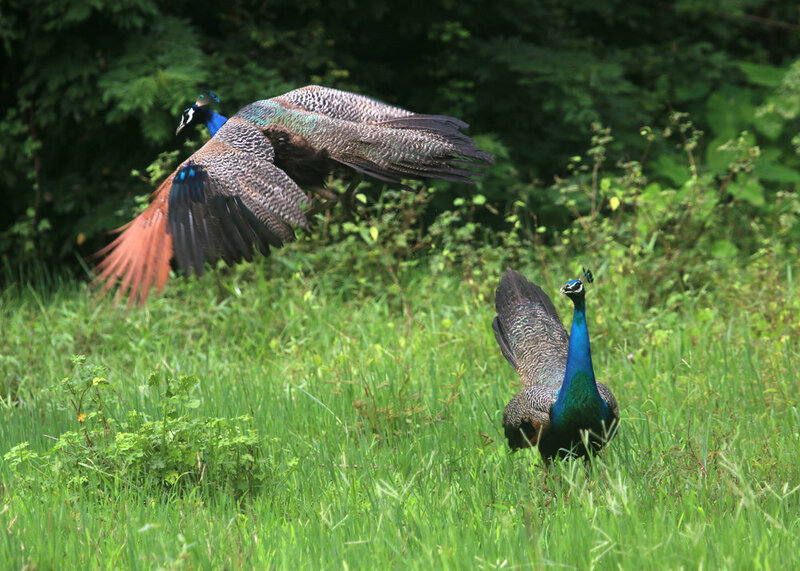 Occasionally one of them would jump high up, then the next one! This went on for a while! 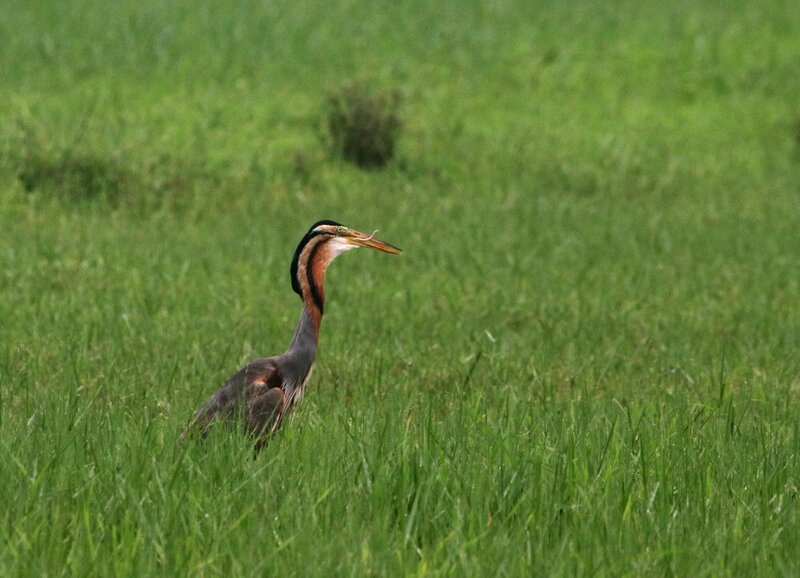 A Purple heron gulps down a Checkered keelback snake. 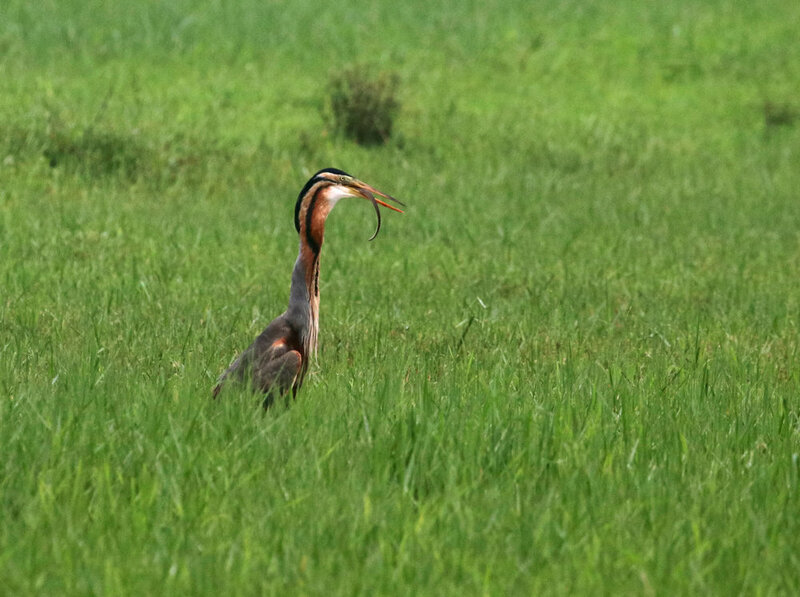 I shot these from quite a distance, else there is a chance heron might drop the meal and fly away. It spent quite some time to eat the whole meal. RIP snake. Shot under low light conditions with some rain drizzling along as well. 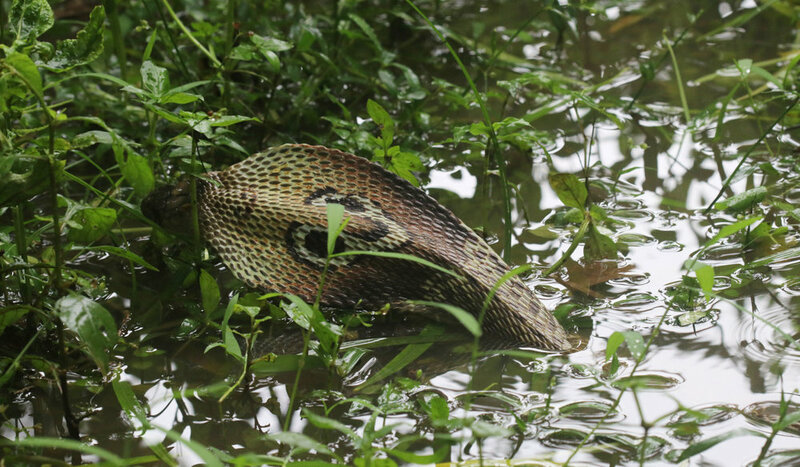 Spotted couple of buff-striped keelback snakes in the paddy fields today. Here are some shots, which were surprisingly hard to shoot.